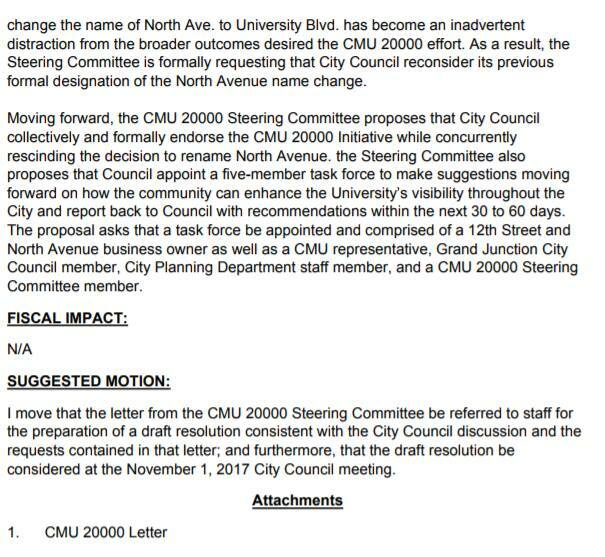 The CMU 20000 Steering Committee has formally asked the Grand Junction City Council to reconsider it’s decision to change the name of North Avenue to “University Boulevard,” saying the matter has “become an inadvertent distraction” from the overall goals of the CMU 20000 effort. The steering committee sent a letter to City Council on October 13 asking them to reverse their decision, and City Council has added the item to the agenda for it’s next meeting. Despite the steering committee’s request, KeepNorth4Ever, the community group opposing the change, plans to keep gathering signatures full steam on formal petitions opposing the name change. KeepNorth4Ever has drawn together a large and diverse coalition of citizens and businesses opposing the change, and the group is providing placards for businesses to display in their windows if they oppose the change. Many businesses both on and off North Ave. have petitions for the public to sign, and individuals are circulating petitions as well. The group has been extremely well coordinated, as is facilitating their efforts mostly through social media. 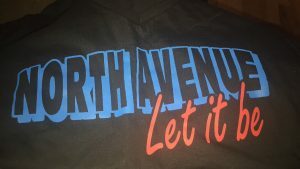 If council doesn’t agree to reverse its decision on its own, KeepNorth4Ever will seek a special election so citizens can vote on whether or not to change the name of the street. 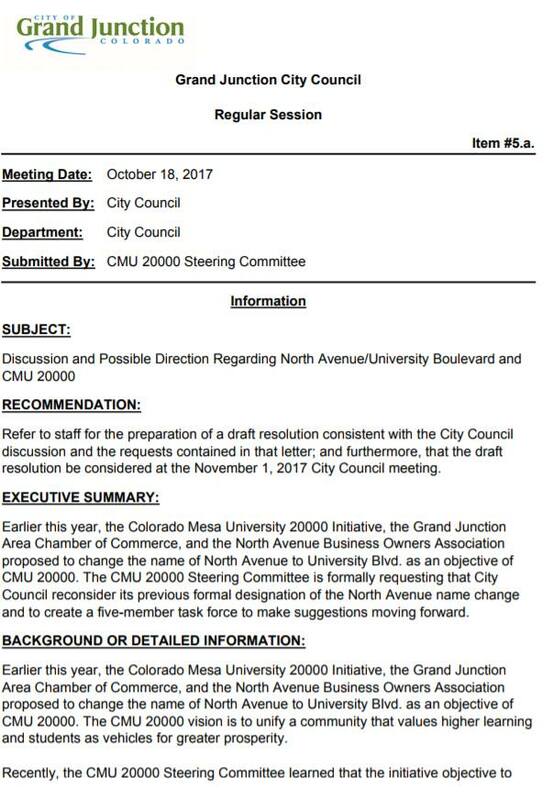 City Council will consider the steering committee’s request to reconsider the name change at it’s next meeting on October 18 at 6:00 p.m. at City Hall Auditorium, 250 N. 5th Street, in downtown Grand Junction. The name change was proposed by the Grand Junction Area Chamber of Commerce, a lobbying group for big businesses. 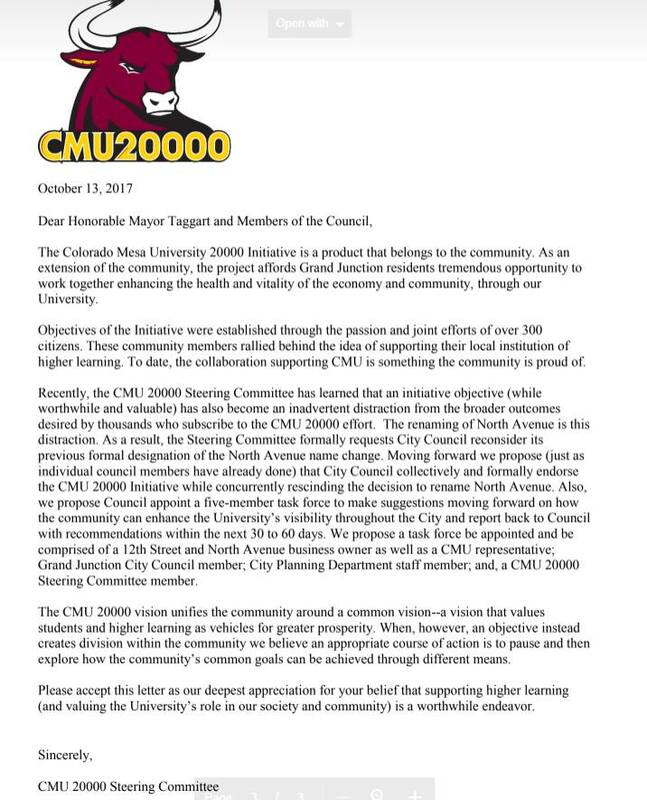 CMU 20000 Steering Committee’s letter to City Council asking them to reconsider changing the name of North Ave.
So… Appoint a 5 member group? There must be $$ involved.